Native app developed with Xamarin Forms: Android, Windows 10, Windows 10 Mobile. iOS ready (not published). A point of sale app to facilitate merchants and shop owners to charge with Bitcoin. 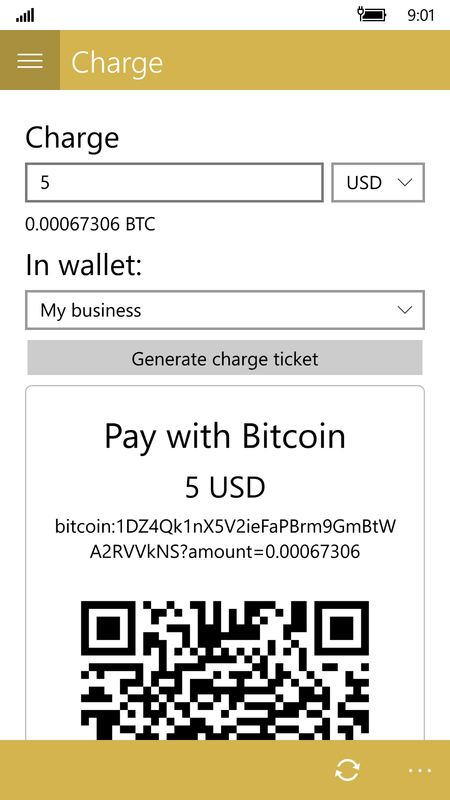 Issue tickets to charge with Bitcoin, setting the price in your favourite currency, and share them with your clients using a QR code or the system share option. You don't use the wallet private key, so the app is ideal for employees or to use with a checkout computer in a shop without any financial risk. You can also watch the movements of any wallet and check the exchange rates of Bitcoin with different currencies. 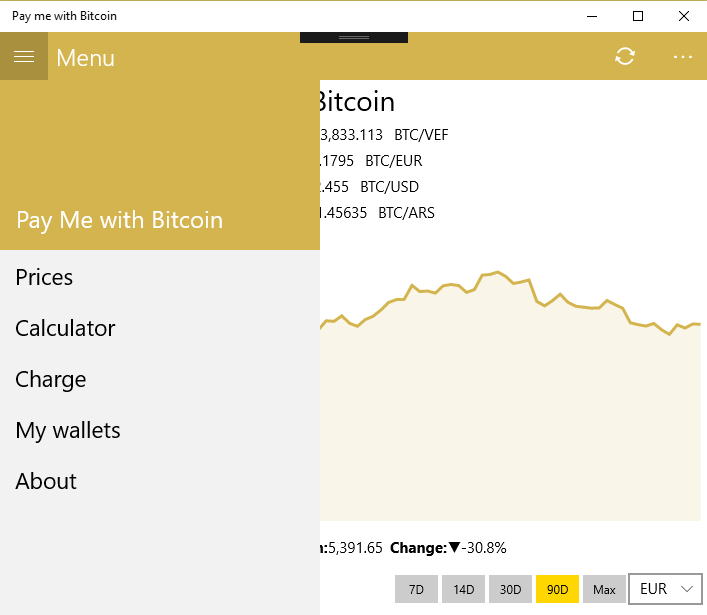 At the time of writing, this is the only app of this kind that uses a market-based Bolivar / Bitcoin exchange rate (others use the official Bolivar/USD exchange as a middle step, and that could mean loses of several orders of magnitude to merchants). 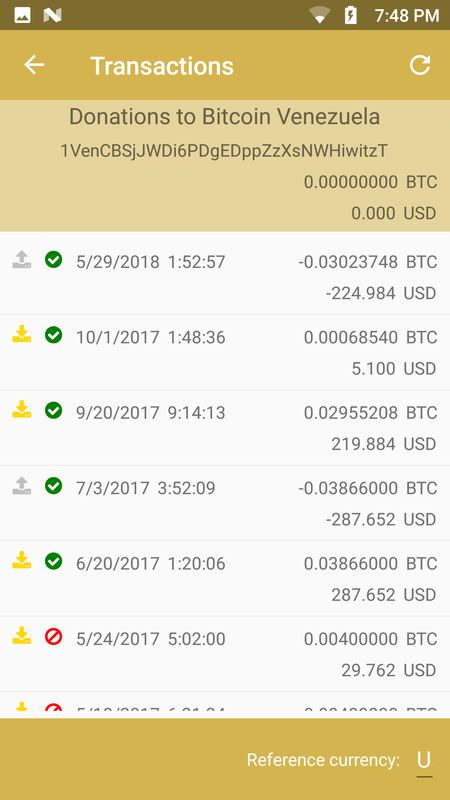 Thus, this app is especially useful for the Venezuelan market, where Bitcoin is helping people to cope with the crisis. Concurrent, synchronized calls to several API. QR code reading and generation. 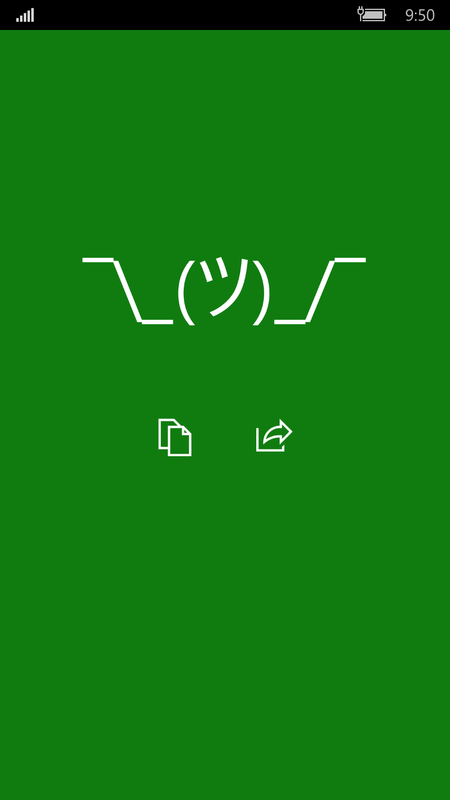 System share and copy to the clipboard. Localized in Spanish and English. Use of icon fonts and multiple resolution images. Animations, triggers, MVVM, Messaging Center. Per-platform styling to comply with platform recommended look and feel. Android app developed with Unity 3D. Augmented reality app developed for a client to recreate the Roman city of Baelo Claudia, in south Spain. Look around with your phone to watch the current status of the ruins, and then use a slider to recreate the buildings of the city at its height. 3D assets and photography developed by the client. Or use touch for a more comfortable experience. Several levels of sun-light mode (to use the app on open spaces on sunny days) using color correction. On-demand download and management of video files (to save app space), and video and audio play back. Localized to Spanish, English and German. Demo version developed along the main version. A one-day exercise app that I did for fun and to consolidate knowledge. 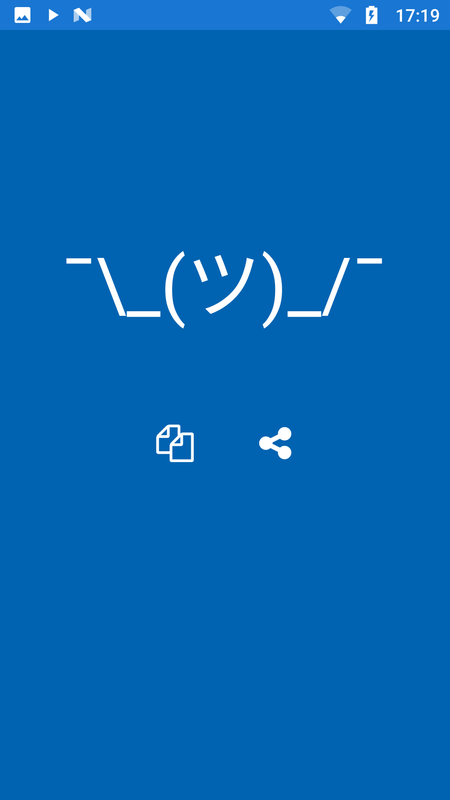 Copy the shrug dude emoticon ( ¯\_(ツ)_/¯ ) to the clipboard or share it with other apps using the system share. Localized in Spanish and English (app name and store presence). Use of icon fonts and per-platform styling to comply with platform recommended look and feel (iconography and accent color).